A completely self-financed pilot project, implemented by the Community of Sant'Egidio with the Federation of Evangelical Churches in Italy and the Tavola Valdese. - to grant people in "vulnerable conditions" (victims of persecution, torture and violence, families with children, elderly, infirm, people with disabilities) a legal entry into Italy through humanitarian visas and the opportunity for asylum application thereafter. It is a safe way for everyone: the release of humanitarian visas provides for all necessary checks run by the Italian authorities. When in Italy, refugees are welcomed into facilities and houses at the expenses of our partner associations. We provide them with Italian language classes, while supporting the schools enrollment for their children, as a way to promote integration in our country and facilitate job search. More than 1,800 people - Syrians fleeing war - have safely arrived since February 2016. 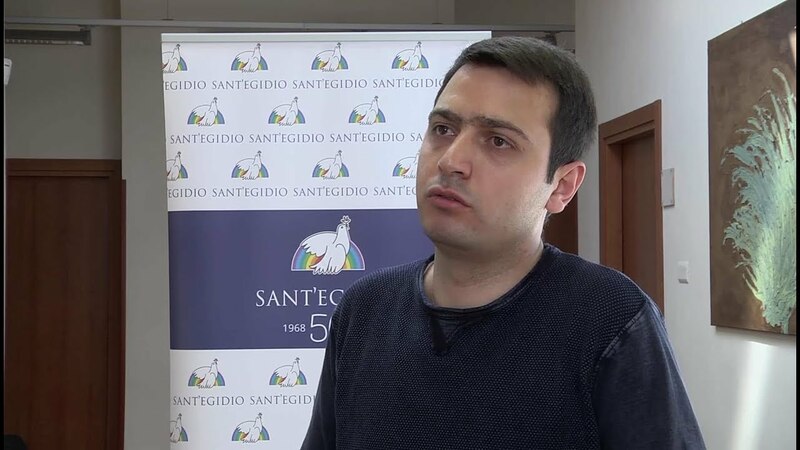 The humanitarian corridors are the result of a Memorandum of Understanding between the Community of Sant'Egidio, the Federation of Evangelical Churches in Italy, the Tavola Valdese and the Italian Government. Organizations are in charge of providing for volunteers on site, who take direct contact with refugees in relevant countries. They prepare a list of potential beneficiaries to be forwarded to the Italian consular authorities who, following the supervision by the Home Office, will issue Humanitarian Visas with Limited Territorial Validity, therefore valid only in Italy. Once they arrive in Italy - legally and safely - refugees can apply for asylum. The Humanitarian Corridors are totally self-financed by the associations promoting them.